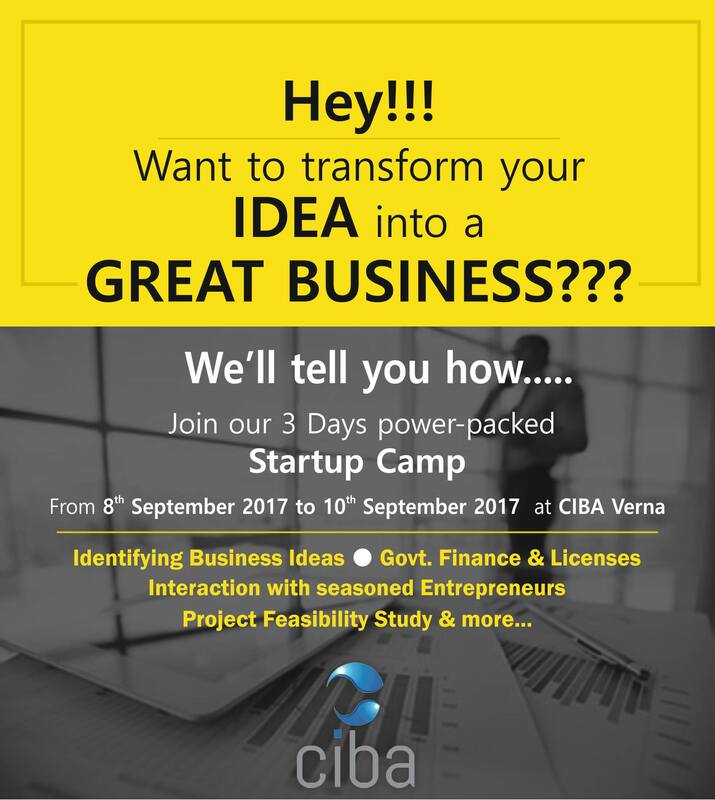 CIBA is organizing a 3 Days power-packed Startup Camp just for YOU. Transform that awesome idea into business !! !